Car key duplication is pretty common. There is always someone who needs to get their keys duplicated for one reason or another. The car dealer can duplicate your key but it’s usually very expensive. A good alternative is to get someone who provides the same services. You can find locksmiths that will duplicate your car keys for pretty good rates. Car key duplication services will vary. This is because different makes of cars have different types of keys. You will find some that have electronic chips inside. These kinds if keys are more sensitive. The chip in the key has to be copied exactly. Before you hire a car key duplication services, find out if they can help you. Ask about the services they provide. They may not be able to duplicate your type of keys. A good car key duplication service is one that is reliable. You have to find someone who can be depended on. Trust is also main purpose of being a true professional. You have to remember you are entrusting the security of your car to this person. You have to be sure that you can count on their absolute discretion. There are always cases where people have had their information sold to the wrong people. Find a service that has a good reputation. A good duplication services will also follow the specifications of the car keys manufacturers. This is to ensure that you don’t get any problems later. Worn out car keys can give you quite a headache. This is why you need to have them duplicated. You need to find a duplication services that can do that for you. At Port Locksmiths, you can get just the services you need. You can have any type of cay keys duplicated. With over ten years of experience, we are well equipped to provide you with quality car key duplication services. Our trades people are skilled and very well trained. We are the kind of services that inspires trust. You can be sure that we will keep your information safe. 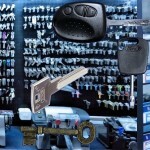 Port Locksmiths provides you with the services you need whenever you need them. You can always count on finding someone at our offices. This way, you won’t have to be kept waiting when you need to get your car keys duplicated. We offer you very good rates for these services. For that extra car key, you can come to us. Port Locksmiths will help you along. You will find out just how convenient our services are for you.